Activated Quercetin is a unique bioflavonoid derived from plant sources. 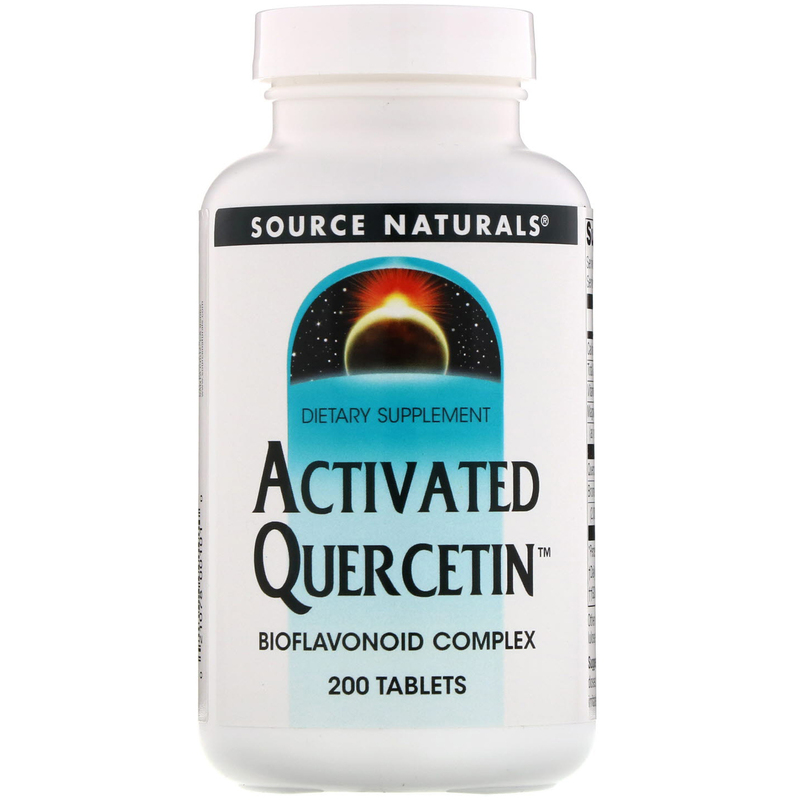 In human cell culture studies, quercetin has been shown to inhibit histamine release. Additional research needs to be conducted to confirm the effects of quercetin, if any, in humans. Bromelain is a pineapple enzyme that may assist the body in times of stress, while vitamin C that helps support the immune system. 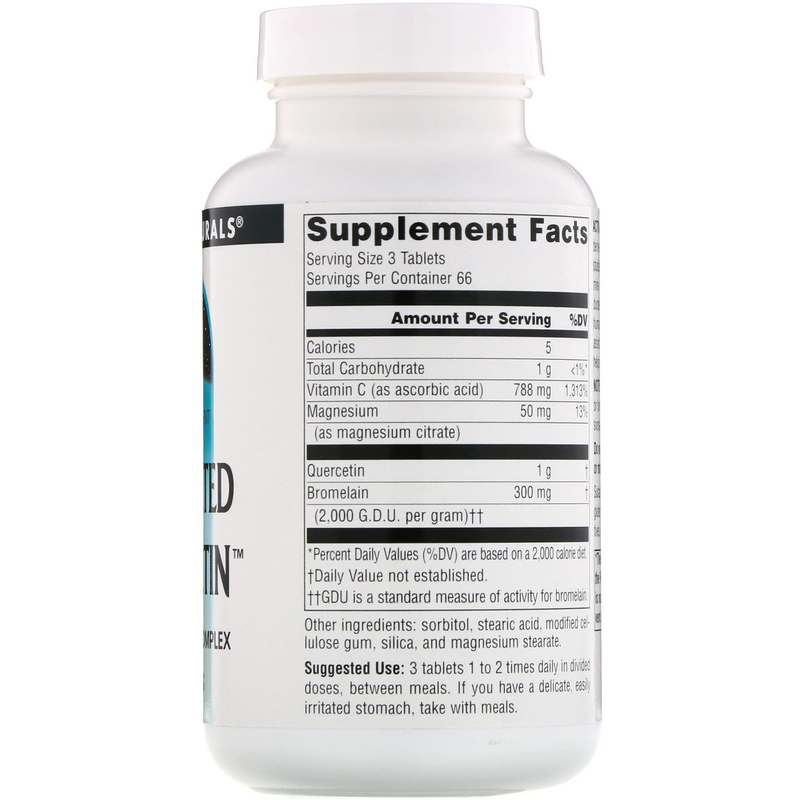 3 tablets 1 to 2 times daily in divided doses, between meals. If you have a delicate, easily irritated stomach, take with meals. ††GDU is a standard measure of activity for bromelain.